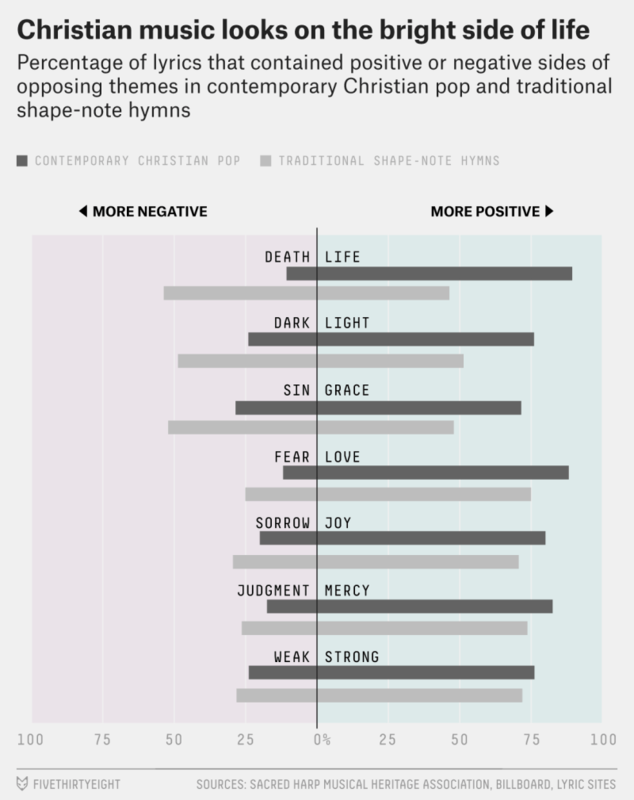 In the article, Libresco talks to Peter Beck, who offers the following axes of Christian experience to explain how upbeat Christian pop songs (which in a church context often repurpose themselves as worship songs) neglect “Winter Christians,” or Christians who engage (“commune”) with God and the church but who see complaining or lamenting to God as part of their spiritual experience. Instead, Contemporary Christian Music appeals to “Summer Christians,” who can have a tense relationship with Winter Christians. Winter Christians follow a rich history, with lament Psalms making up almost half the book of Psalms. Indeed, my analysis of online Bible notes from last year found that complaints and requests for help accounted for 43% of all prayers recorded in these notes. Beck’s model is static, but he adds, “Personally, I think both situational and dispositional issues are in play. 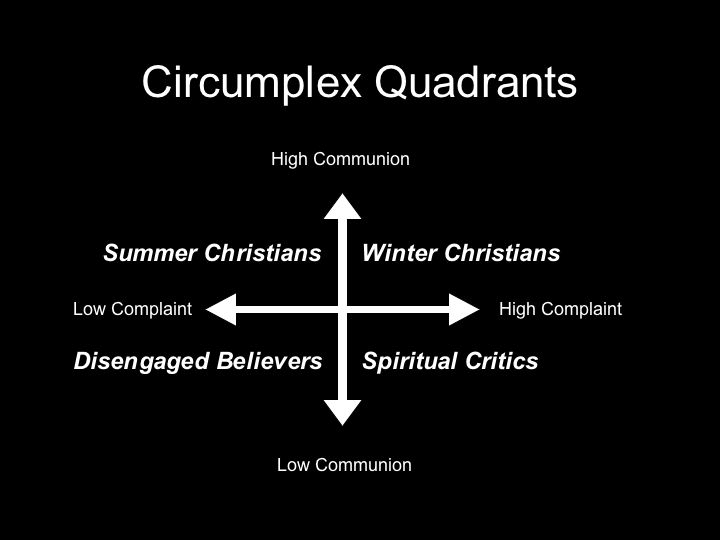 Many Summer Christians have ‘dark nights of the soul.’ But I also think there are some people who are tempermentally Winter in orientation.” In other words, while you might have Summer or Winter tendencies, circumstances can push you to the opposite side for a time. Libresco also quotes David W. Stowe, who suggests that “when that secular pop music moved on from this fear [of nuclear war and annihilation], so did the Christian music.” I would further suggest that the “all pop is now Scandinavian pop” effect is no small part of this shift. John Seabrook describes circa-2015 pop music this way: “ABBA’s pop chords and textures, Denniz PoP’s song structure and dynamics, ’80s arena rock’s big choruses, and early ’90s American R&B grooves.” The hooks, or catchy melodies, for these songs almost demand upbeat lyrics to match their upbeat feel. 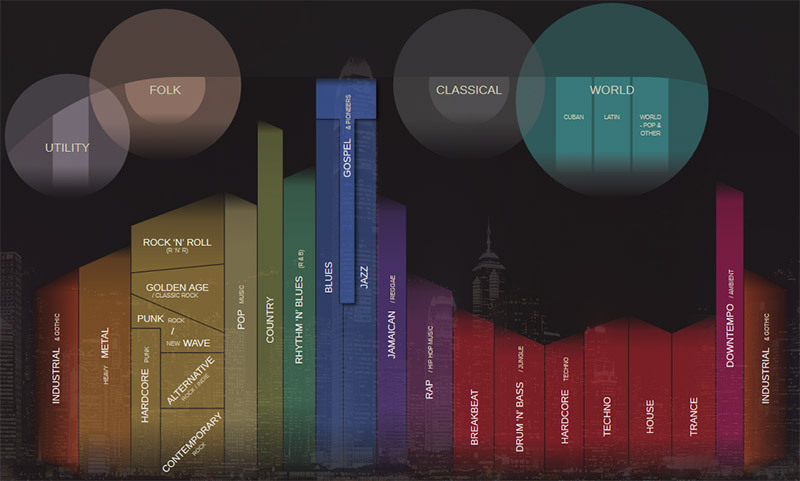 The extensive crossover between secular and Christian music is visualized at musicmap.info, which argues that Gospel music as a distinct genre (below, at the top in blue) effectively ends as a major force in 1968 with the advent of modern Contemporary Christian Music. Instead, each secular genre develops a “Christian” subgenre: Christian pop, Christian R&B, Christian metal, etc. Libresco doesn’t talk about differences between modern secular genres and their Christian equivalents, but such an investigation would be interesting: does Christian rap, for example, “complain” less than secular rap? Do certain genres speak better to Winter Christians than Christian pop? For another look at the relative popularity of Christian music genres and artists over time, see Google Research’s Music Timeline. You are currently browsing the OpenBible.info Blog blog archives for June, 2016.